​​​General Motors is an American multinational corporation that designs, manufactures, markets and distributes vehicles and vehicle parts and sells financial services. It produces vehicles in 37 countries under thirteen brands, such as Chevrolet, Cadillac, Buick and GMC. 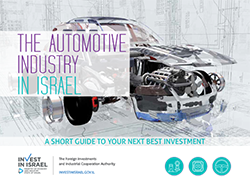 In 2005 GM established GM Israel, which includes an Advanced Technical Centre and an Automotive Procurement Arm, as well as provides support for GM Ventures evaluation processes of Israeli start-up companies. The Advanced Technical Center’s primary focus is on cutting-edge and non-traditional automotive technologies, in a wide range of vehicle related fields, such as autonomous vehicles, user experience technologies (UXT), connected-vehicle, cyber security and more. ​​Perrigo Company plc is an American international manufacturer of private label over-the-counter pharmaceuticals. Perrigo engages in the manufacture and sale of consumer healthcare products, generic prescription drugs, active pharmaceutical ingredients (API), and consumer products through its wholly owned subsidiaries, primarily in the United States, Australia, Israel, Europe, India and Mexico. In March 2005 the firm acquired Agis Industries Ltd., an Israel-based gen​eric pharmaceuticals company for $850 million. Intel Corporation is an American multinational technology company headquartered in Santa Clara, California. Intel, founded in 1986, is one of the world's largest and highest valued semiconductor chip makers. It combines advanced chip design capabilities with cutting-edge manufacturing capabilities. In 1974, only six years after its foundation, Intel opened its first development center outside the US in Israel. The center has grown from a small team of five researchers to close to 10,000 today, divided among facilities in Kiryat Gat, Jerusalem, Haifa, Petah Tikvah, and Yakum. ​CK Hutchison holdings Limited, a Hong-Kong international company, owns substantial holdings in businesses across a number of industries, including port operation and development, telecommunication, energy, retail and infrastructure. The company employs a quarter million people in 52 countries across the world. Hutchison Water, Established in 2008, is part of the CK Hutchison Holdings Limited, and is offering a wide range of projects in the water and water related business. In 2012 Hutchison Water acquired Kinrot Ventures, an world leading Israeli technological incubator for water and cleantech technologies, forming Hutchison-Kinrot. Hutchison-Kinrot provides a unique platform for developing and commercializing water, Cleantech, Internet of Things and cyber security innovations with valuable access to international markets. ​Unilever began operating in Israel in 1938. 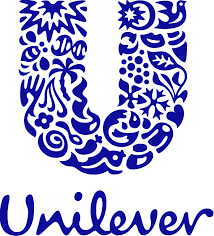 Today, Unilever-Israel is a branch of the global company and operates as an independent unit, employing professionals across various fields including R&D, manufacturing, distribution, sales and marketing. 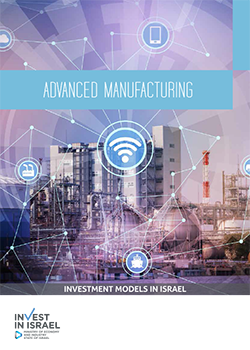 The entire activity is managed in Israel and includes 85% of the company's products marketed in Israel in four manufacturing sites throughout the country. In addition to local production and marketing, Uniliver-Israel exports tens of millions of shekels annually, including products to the kosher market in the United States, France and other countries. Unilever is collaborating closely with Israeli academy and a number of government ministries in Israel. For example, in 2015 Unilever signed The Multinational Corporations Agreement with the Israel Innovation Authority, which results in cooperation between Unilever and the innovative ecosystem in Israel regarding R&D. In addition, Unilever operates an innovation center in Israel dedicated to locating, examining, and adapting local innovation into the company and its various brands. Every year, Unilever Israel invests in technology and fixed equipment in Israel. For example, "Knorr" is its international brand produced locally, providing the highest quality based on knowledge and manufacturing methods that were imported to Israel. Additionally, Unilever Israel factories established in the periphery have significant economic and social impact on their surroundings. Unilever Israel places great emphasis on reducing its environmental footprint in the manufacturing processes. The company ensures that there is diversity in its company and offers opportunities to workers from all sectors In Israeli society. Unilever Israel promotes programs within the framework of social goals of its various brands. For example, the Dove brand partners with the Ministry of Education to strengthen self and body image among youth. Additionally, Thalma, a Unilever project, promotes a healthy and active lifestyle. ​Flex has been operating in Israel for 20 years and employs about 4,000 people in its factories, support centers, development and innovation centers. These locations are spread over seven cities, mostly in the periphery such as Migdal Haemek, Haifa, Petah Tikva, Modi'in, Yavne, Ofakim and Sderot. Flex Israel is the largest industrial employer in Israel. Flex ranks among the top 100 companies contributing to Israeli exports. 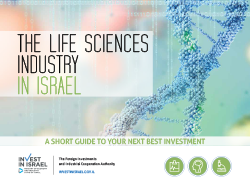 Apart from investing in technology, Flex is also one of the largest investors in Israel in production and operation. Flex Israel recently established a factory in the Modi'in-Maccabim-Reut industrial zone covering 35,000 square meters. 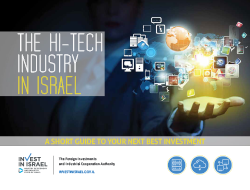 It includes the latest production technologies and supports the advanced production in Israel. The Israeli market plays an important role in Flex's international strategy. Flex connects Israeli companies to leading players in various markets around the world in the fields in which they operate. Flex has plans to develop other sectors in the Israeli economy, including automotive, medical, communications, and smart retail. Flex's global investment fund provides further evidence of the important role that Israel plays in the company's global success. 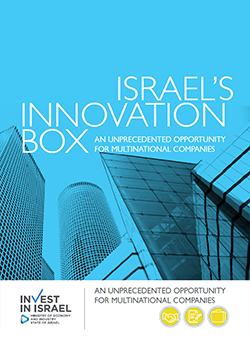 The fund operates in just two places Silicon Valley and Israel. Flex has already invested in seven Israeli companies, providing not only money, but also quicker access to market and connectivity to Flex's global customers. ​IBM began operating in Israel in 1949. Since then, the company has been a key player in Israel's high-tech industry, supporting the economic and technological growth of the country. IBM's research lab in Haifa was established in the early 70's, long before Israel was known worldwide as the "startup nation." Today, IBM employs more than 2,000 people in Israel in the fields of R&D services, software, finance and more. 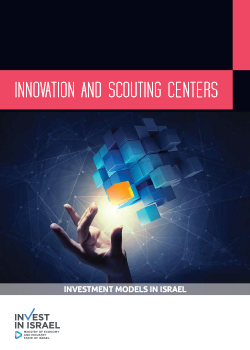 In less than two decades, the company acquired 14 Israeli companies, each of which operate R&D centers locally, including TRUSTEER and XIV. IBM was the first founder of the Global Technology Unit (GTU) in Israel, which enables local startups to use their resources to develop products and promote their presence in the international market. IBM's extensive reciprocal procurement in Israel far exceeds contractual commitments and allows for expansion of Israeli companies abroad. IBM is also in close contact with the Israeli academia and, in 2014, it established the Center for Excellence in Cyberspace at Ben-Gurion University. 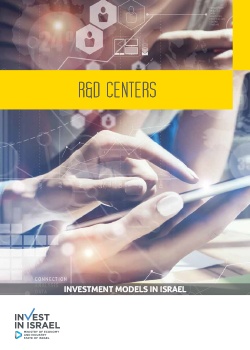 The center plays a leading role in transforming the southern region of Israel into an international cyber center. IBM has R&D centers in Givatayim, Haifa and Jerusalem, in addition to partnership programs with other universities. Furthermore, IBM works to impart technological knowledge among young people in Israel and collaborates with non-profit organizations in Israel in order to help the Israeli society in the fields of education, employment and health. There’s a reason why Facebook’s second-largest R&D center is located in Israel. It’s the same reason why Warren Buffett chose to make Israel the home of his first major acquisition outside of the United States. And it’s the same reason why Microsoft, Google, Apple, Intel, Samsung, HP, Siemens, GE, Philips, Alcatel-Lucent, Cisco, Toshiba, Barclays, Hutchison and LG spark the long list of over 330 multinational companies who have realized that Israel is their ideal choice for investment.